A short history of corruption, destruction and criminal activity. 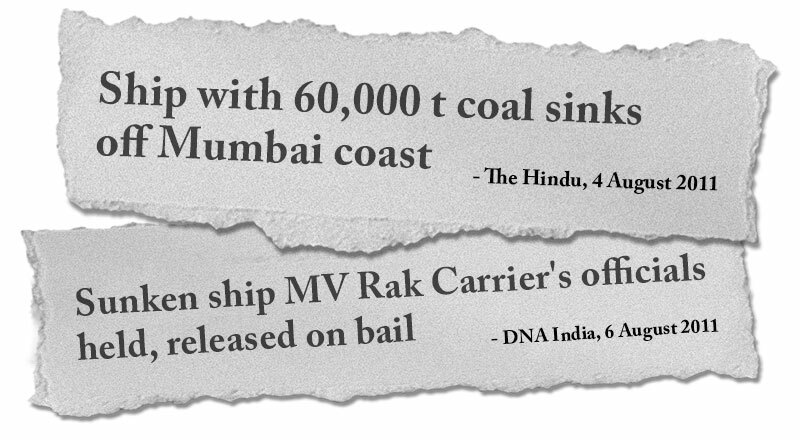 In 2011, a ship carrying Adani coal sank off the coast of Mumbai, devastating beaches, tourism and marine life. Adani did nothing to clean up the mess for five years. Adani can't be trusted to operate in the Great Barrier Reef. Adani's Australian CEO was Director of Operations at another mining company when it poisoned a river in Zambia that people relied on to survive. Adani hid this from the Australian government. Adani can't be trusted with Queensland's water. There have been deaths, illness and injuries at Adani workplaces. Reports show Adani have exploited and underpaid their workforce, including using child labour. Adani can't be trusted to follow the rules and look after workers in Australia. Who is Adani and what do they want? Adani's Carmichael coal mine has become notorious for its sheer scale, and for the damage it will cause to the Great Barrier Reef, to vast quantities of groundwater, to the world's climate, and to threatened species. But the project's proponent is also fast becoming one of the most controversial companies in the world. 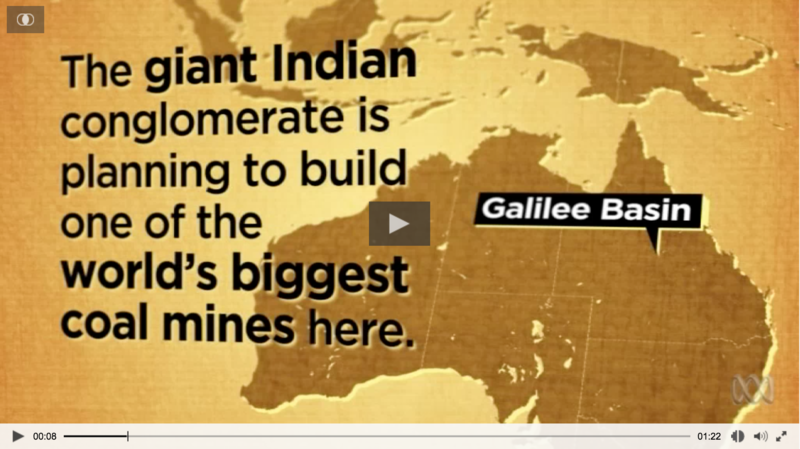 Adani has a documented history of corruption, bribery, and human rights abuses across the world. It's currently facing further criminal investigations for alleged involvement in multi-billion dollar fraud in India. Despite Adani's appalling track record, the mine's unpopularity, and its enormous environmental and social impacts, Australian Queensland and Federal governments continue to support the Adani project. Malcolm Turnbull's Federal Government is now preparing to give Adani a $1 billion taxpayer-subsidised loan to build a rail line from the mine site to the associated coal port, Abbot Point. Polling shows 74.4% of Australians oppose public money being used in this way. This report brings together new and previously documented evidence that shows Adani are, at their core, a dangerous, criminal organisation, not a viable proponent to be trusted with one of the most environmentally destructive projects in Australian history. Adani's corporate structure is deliberately convoluted and opaque.  There are 26 Adani subsidiaries registered in Australia, 13 of which are ultimately owned through the Cayman Islands. Many of the incidents, criminal charges and allegations outlined in this report involve various Adani subsidiaries. For this report, we'll refer to them all simply as Adani. 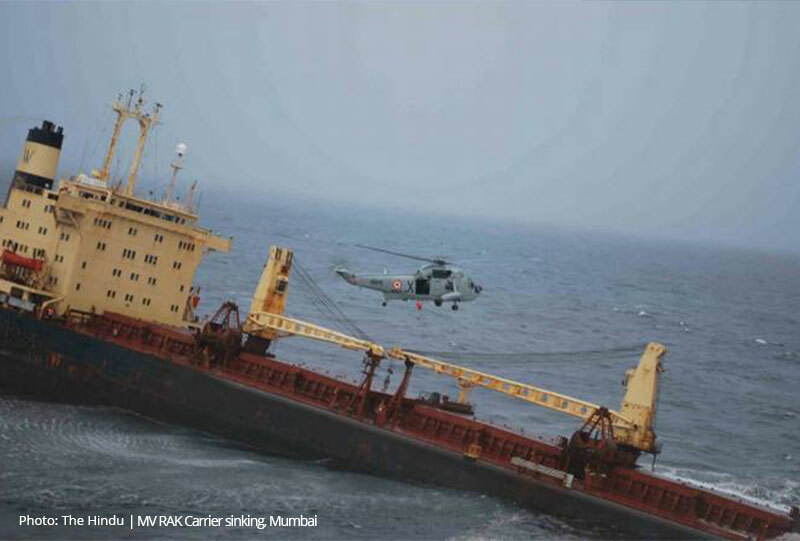 In 2011, an unseaworthy Adani coal ship sank off the coast of Mumbai, causing a massive oil spill and spilling 60,054 metric tonnes of coal into the ocean. Adani did nothing to clean up the mess for five years, as the spill destroyed mangroves, polluted beaches, and caused serious damage to the local marine environment and Mumbai's tourism industry. With this record of complete disregard for marine protection, Adani's plan to ship 60 million tonnes of coal through the fragile Great Barrier Reef World Heritage area every year is of serious concern. 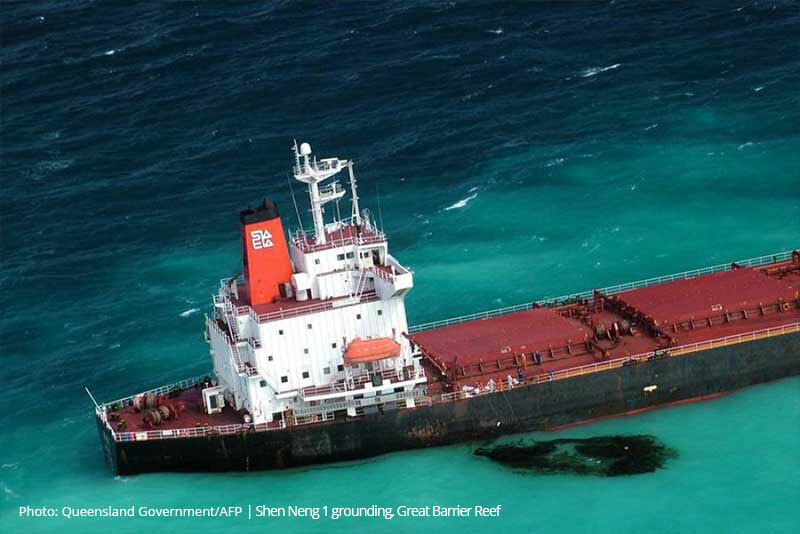 Especially given the current lack of an emergency response plan for coal ship groundings, as demonstrated by the Shen Neng 1 coal ship, which has still not been cleaned up six years later. "Irreversible and irreparable damage has been done to the area by the Adani Port and it is difficult to monitor the extent of the damage today. The mangroves have been destroyed and it has created an environmental disaster. 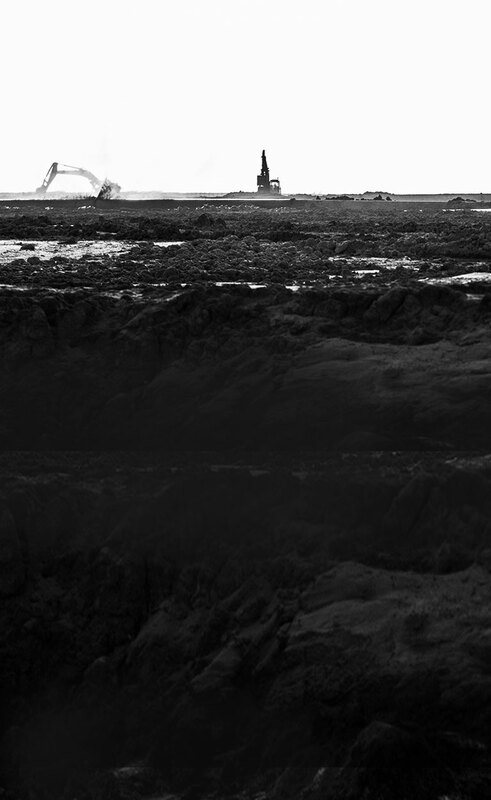 …The fisherfolk and common people affected by this degradation cannot fight such a big company." -Mahesh Pandya, an Ahmedabad-based environmentalist. 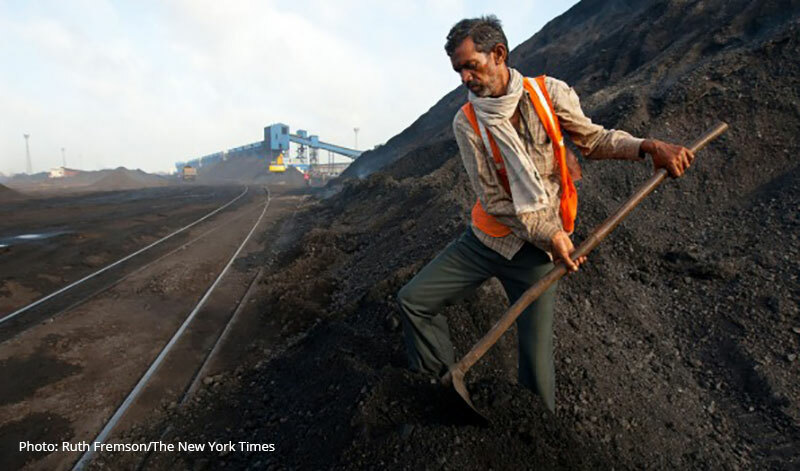 In the coastal town of Mundra in India, Adani operates one of the world's largest coal-fired power plants. 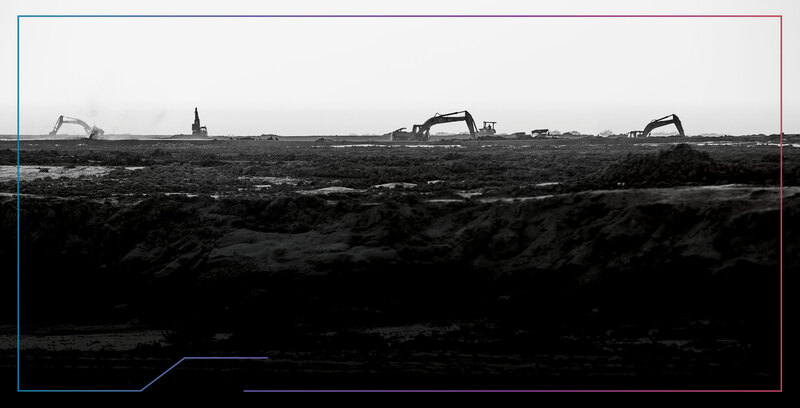 Investigations of the Mundra project by Indian officials, independent committees and documentary film crews reveal a record of environmental destruction, harm to local communities, and a failure to comply with environmental regulation and development permits. The outcome for the local villagers was catastrophic. Having traditionally relied on fishing and farming to survive, they are now left with barren land and oceans -- their fish stocks decimated. The destruction in Mundra, and Adani's flagrant violation of environmental law, stands as a stark warning of what Australia could face if we allow Adani to operate through the Great Barrier Reef and drain 12b litres of groundwater every year. In 2010, Adani's Australian CEO -- Jeyakumar Janakaraj -- was Director of Operations at Konkola Copper Mines ('KCM') in Zambia. He was "responsible for overall operations" when the company caused a major pollution disaster that poisoned the Kafue River -- the lifeblood for much of Zambia's people. KCM discharged 'pregnant liquor solution' -- highly acidic, metal-laden water generated from leaching in copper mining -- into the river, which caused the river to change colour. Villagers who used to rely on the river for cooking, cleaning and bathing now say that, because of the pollution, people have become sick and died, the soil is barren, and the water smells foul and is orange-coloured. 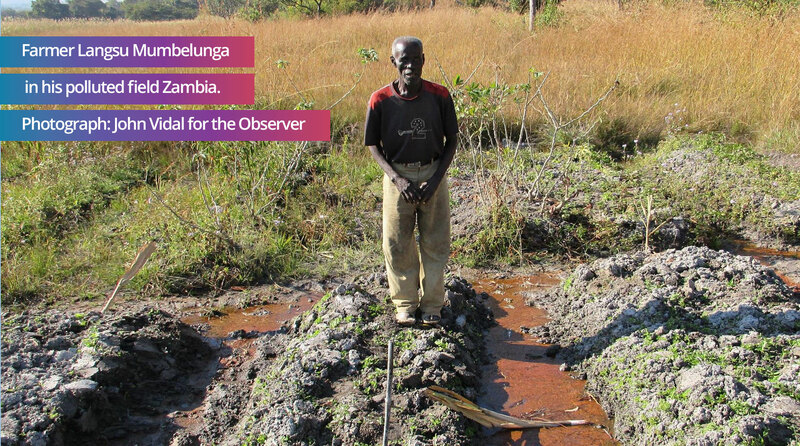 1,800 Zambian villagers have filed a lawsuit against KCM to recover damages. In November 2010, the Government of Zambia brought a successful criminal prosecution against KCM for this pollution and the harm it caused. Adani failed to disclose this incident when applying for approvals for the Carmichael mine, as required under Australian law. "I used to grow cabbages, potatoes, tomatoes and bananas, but now, there's no future here, only poverty and suffering because this land is damaged and spoilt." 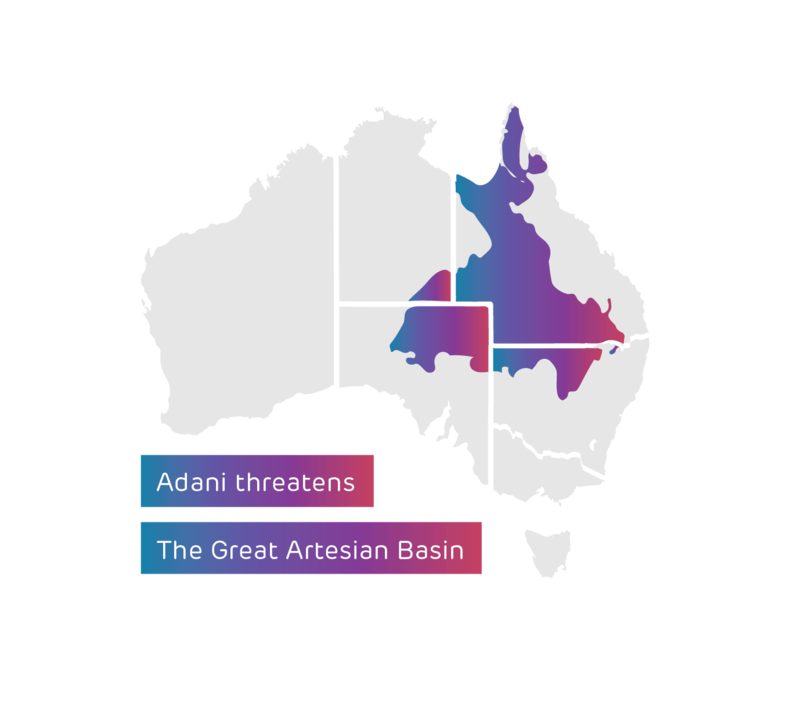 Mining in the Galilee Basin will have a significant impact on the Carmichael and Belyando rivers, and the Great Artesian Basin -- the sole water source for towns and farms across almost a quarter of Australia. Adani's plans to drain 297 billion litres of groundwater over the lifetime of the Carmichael mine will have long-term impacts on aquifers and presents a huge risk to farmers and other people who rely on that water to survive. Media reports from India reveal Adani is using police intimidation, bribery and threats to dispossess people of their land in Jharkhand -- where the company want to build two power plants. Villagers and government officials say the Jharkhand Government has deliberately undervalued local villagers' land to allow Adani to acquire the land at a fraction of the land's real value. One legislator raised the issue in state assembly, contending landowners are expected to receive about one tenth of the value of their land. Six Adani Group companies are under investigation for lying about the quality and, hence value, of coal imported from Indonesia, allowing them to get away with charging higher prices, demanding public handouts, and driving up costs for Indian electricity customers. There is solid evidence that they've already ripped off their customers to the tune of over $200 million AUD. …evidence gathered suggests that the total value declared for the goods imported was Rs 9,048.8 crore ($1.7 billion AUD) whereas the actual value was Rs 3,580.8 crore; a difference of Rs 5,468 crore which has been siphoned ($1.07 billion AUD). Adani chairman Gautam Adani and Indian Prime Minister Narendra Modi are old friends. Modi even travelled in an Adani-branded private jet during his election campaign. And it turns out Adani isn't afraid of calling in favours. Adani's competitors lined up to supply the people of Gujarat cheaper, long-term electricity but their tenders were blocked by the power authority. This resulted in massive price-hikes and ensured the only energy available was the highly expensive, short-term supply provided by Adani. Adani's competitors subsequently brought litigation against the power authority for the price-gouging. Adani has run a long and fallacious moral campaign that the Carmichael mine will bring people out of energy poverty. This argument has been debunked by everyone from expert analysts to India's own Energy Minister, who point out that solar power is already cheaper than imported coal, especially for the many low-income Indians who are still off the grid. But even if the argument were true, Adani's track-record of price-gouging shows that it cannot be trusted to provide affordable power to Indian citizens. "...it was pernicious and blatant misuse of the provisions of the Scheme...This Court...cannot come to the aid of such petitioners/exporters who, without making actual exports, play with the provisions of the Scheme and try to take undue advantage thereof." "The ownership structure of the proposed Galilee project, the Carmichael project, is totally opaque ... The fact that the Northern Australia Infrastructure Fund Senator can't actually answer who is the proponent - a basic question - means he shouldn't be offering a billion dollar taxpayer subsidy to an unknown proponent in tax havens. There's no way you can do proper due diligence on that corporate structure." There are massive discrepancies between what Adani says in India and what it says in Australia about the ownership structure of Abbot Point. But one thing is clear -- Adani is lying to someone. Adani's most recent financial report lodged with ASIC did not disclose its immediate parent company and provided no detail about the actual or potential transfer of the ownership or control of Abbot Point from an Indian based Adani entity to one based in Singapore (also a known tax haven). Adani are tax dodgers. In 2014-15 Adani paid no tax on $350 million revenue in Australia. Adani's opaque corporate structure poses another unacceptable risk to investors. If Abbot Point is ultimately owned via Cayman Island entities, it could allow Adani to squirrel away any potential profits into tax havens. Meaning Australia would have allowed Adani to dredge in the Great Barrier Reef World Heritage Area, for literally nothing. Senator Matt Canavan can't even say which Adani entity Australian taxpayer's money would be going to, but he is still preparing to give Adani a $1 billion taxpayer-subsidised loan. Adani has previously talked up the potential taxes and royalties governments could get from the Carmichael mine, but companies keen on paying their taxes don't register themselves in the Cayman islands. An explosive Fairfax Media investigation uncovered reports of serious exploitation of Adani's workforce, including the use of child labor and underpaid workers, during construction of a luxury housing project in Gujarat. Adani's workers were underpaid and overworked. Almost a quarter were paid less than the minimum wage of $4 a day, and some were not paid at all -- Adani forcing them to wait for months to get paid, while they lived on a pathetic $9 a week 'food allowance'. In 2016 a hot water pipeline burst at Adani's coal fired power plant in Mundra, burning 21 workers. Seven of whom later died as a result of their injuries. Adani clearly has a corporate culture that shows no regard for worker safety. Work safety standards at coal mines in Australia also clearly aren't high enough, as evidenced by the current outbreak of black lung amongst coal workers in Queensland. 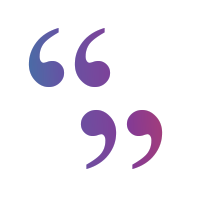 This isn't a company that has a chequered past, or a slightly blemished record. This is a company which has proven itself corrupt, destructive and deceitful to its core. 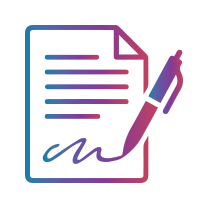 The agreements and commitments it makes appear worthless. This is a company that doesn't hesitate before breaking the law, contract conditions or moral boundaries in its reckless pursuit of profit. Adani's proven track record of environmental destruction, human rights abuses, corruption and illegal dealings should sound a stern warning for any government looking to do business with Adani. And with an open cut coal mine that risks precious groundwater, the habitat of endangered species and the World Heritage Great Barrier Reef, working with Adani would defy all learning and and semblance of good judgement. Adani's shocking track record shows it can't be trusted with fragile natural wonders like the Great Barrier Reef. And its history of corruption and tax evasion, as well as its ongoing criminal investigations, means it definitely shouldn't be the recipient of a $1 billion taxpayer handout. Can you email your MP a copy of this report to make sure they know about Adani's appalling track record?